Colossal Castle Contest: Deadline Approaching! 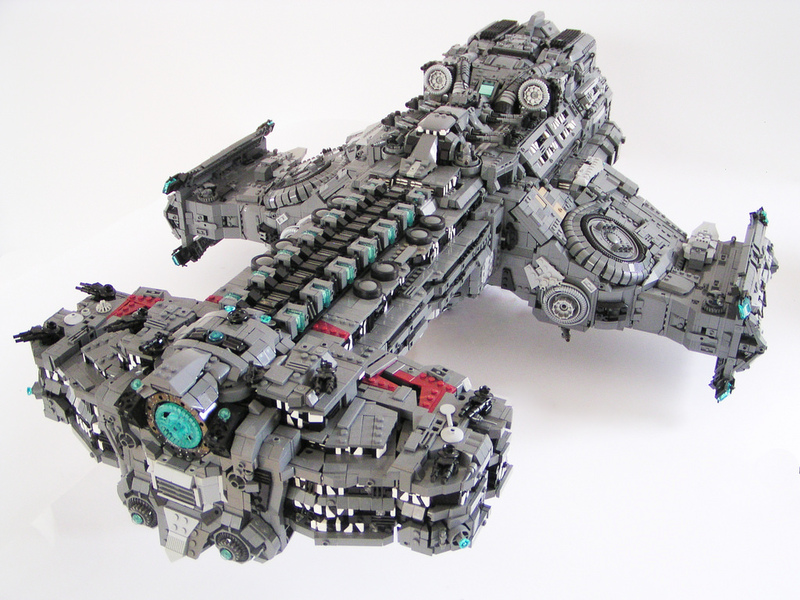 Classic-Castle‘s Colossal Castle Contest is still underway–at least, until December 31 at 11:59pm EST. That means you’ve got a little over a day and a half to get your entries submitted! Check out Classic-Castle for the rules, categories, and prizes! The LEGO Shop online has just marked down a huge number of LEGO sets, some as much as 75% off. Act quickly, because these types of deals are usually gone within a few hours. There’s also a special promo for NinjaGo, which gets you a booster pack on all orders over $75. 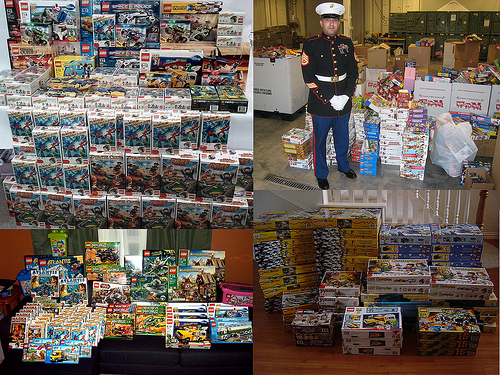 The third annual Creations for Charity ended with 418 Lego sets donated to needy children, totaling in value of almost $9,200. The toys were given to Toys for Tots in Chicago, Grand Rapids, Los Angeles, and to Childrens Hospitals and Make-a-Wish in Dallas. 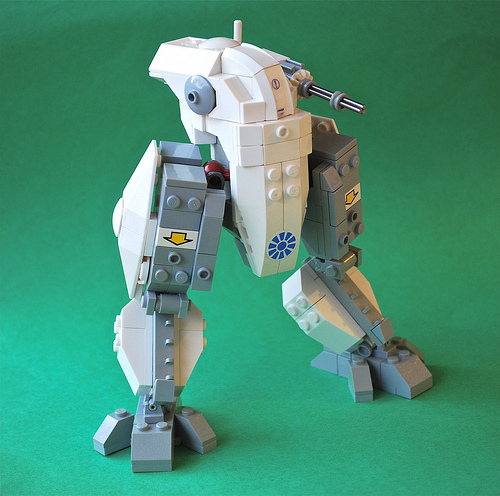 The fundraiser sold 66 custom Lego creations and raised $5,700. For more pictures and details, visit CreationsForCharity.org. Joe Klang (-derjoe-) has given me a perfect opportunity to wish everyone a hot and Summery Christmas from Australia. There was a time when Mel Gibson was considered kind of cooler than an anti-semitic drunk. And Max Max comes very much from that time. 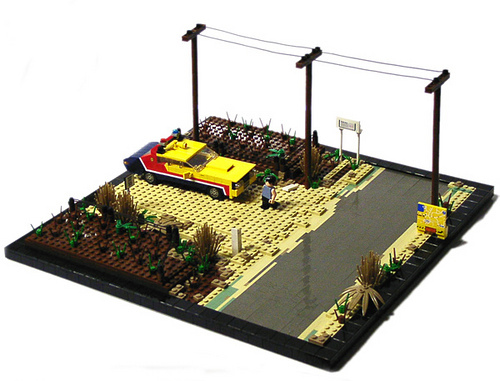 In his second recent car-based diorama Joe shows why. The last V8. 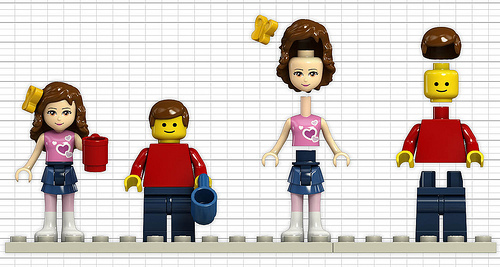 Since the news is making the rounds on the web at this point, most of you are probably already aware of the upcoming LEGO Friends theme in 2012. The response has been, shall we say, mixed. Since I’m sure there’ll be quite a discussion here and elsewhere, I won’t shy away from sharing my own opinion. Bottom line for me: I’m not a huge fan of the new figures, but they bring much-needed diversity to LEGO people, and the sets themselves appear to be entirely brick-built, with some interesting new colors. That’s right — Olivia has invented herself a robot in her laboratory through the use of math and science. I’ve heard that the hair pieces are compatible with standard minifigs. 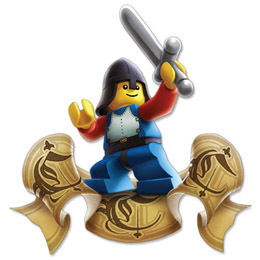 BILLUND, Denmark (December 19, 2011) – The LEGO Group, the world’s leading construction toy brand, today announced LEGO® Friends, a new play theme that tailors the iconic LEGO construction experience especially to girls ages five and up. LEGO Friends delivers on a girl’s desire for realistic role-play, creativity, and a highly-detailed, character-based world with the core values of LEGO building. The LEGO Friends collection of 23 products ranges in price from $5.99 to $99.99 USD and the first 14 will be available for sale in select toy, discount merchandise, specialty and online stores beginning December 26, 2011 in the United Kingdom and January 1, 2012 in the United States. 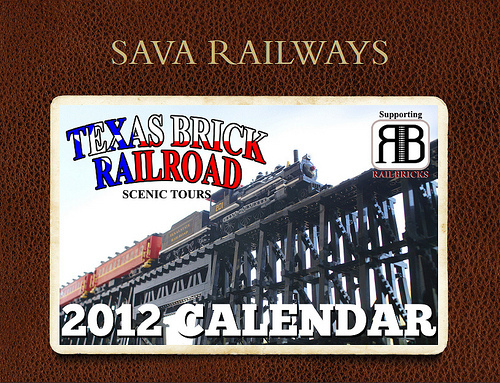 A rolling International launch will follow in the spring, with the remaining nine sets launching in the summer months. 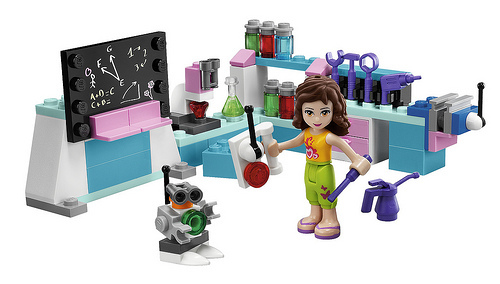 LEGO Friends is the first 100 percent LEGO building experience fully optimized to girls’ tastes and interests. 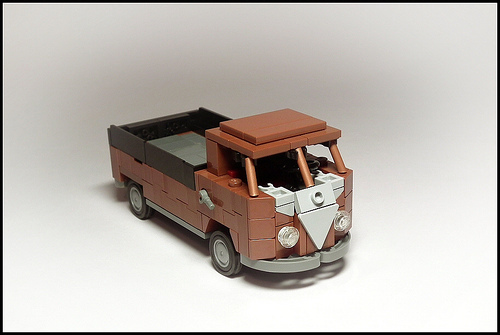 Thousands of girls and their mothers worldwide participated in intensive research that validated the desire for more beauty, realistic details, accessories and interior building and role play opportunities in a LEGO offering. Anchored by the introduction of a new mini-doll figure, LEGO Friends introduces a new LEGO minifigure platform tailored to girls’ requests for a more realistic, relatable and stylized figure. 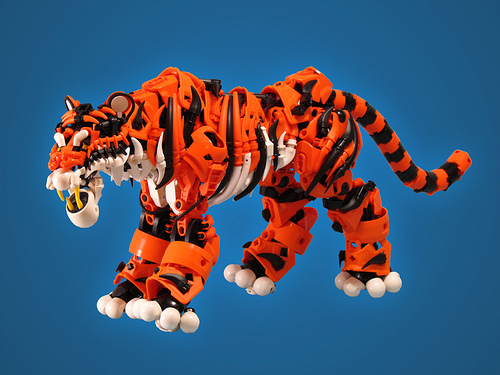 Designed to the same scale of the classic LEGO minifigure, the mini-doll figure stands roughly 5 millimeters taller than its minifigure sibling, yet features similar constructability, shares the iconic “claw” hand to hold the same accessories, can wear the same hair and headpieces, and is compatible with all LEGO building sets. A total of 29 different mini-doll figures will be introduced in 2012. Half of the launch collection includes construction sets themed to introduce girls to each of the “Friend’s” personalities, including: Stephanie’s Outdoor Bakery, Emma’s Splash Pool, Andrea’s Stage, Olivia’s Inventor’s Workshop, Stephanie’s Pet Patrol, Mia’s Puppy House and Emma’s Design Studio. 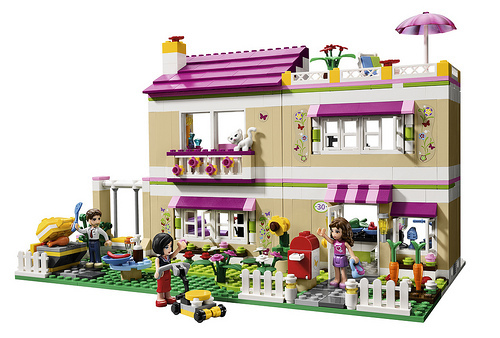 Girls are also invited to construct the Friends’ favorite locations in Heartlake City with larger building sets, including: Stephanie’s Cool Convertible, Olivia’s Tree House, Heartlake Dog Show, Butterfly Beauty Shop, City Park Café, Heartlake Vet, and Olivia’s House. The remaining nine sets launching later in the year deliver the same range in price and theme. Children will be immersed in the new world they can create with LEGO Friends through a variety of brand experiences planned for 2012. In addition to providing product information, the LEGO Friends website will allow children to explore the personalities of each of the five Friends and the different spots in Heartlake City. The site will also feature an avatar creator, mini-movies, games, video building tips, story extensions, contests, news and an events calendar. Also planned are Interactive building events and road shows, promotions, magazines, digital content, a mini movie, in-store experiences, books and more. Check www.LEGOFriends.com for more information. So, what do you think? Sound off in the comments.